A researcher in Nova Scotia has created the perfect Christmas tree. 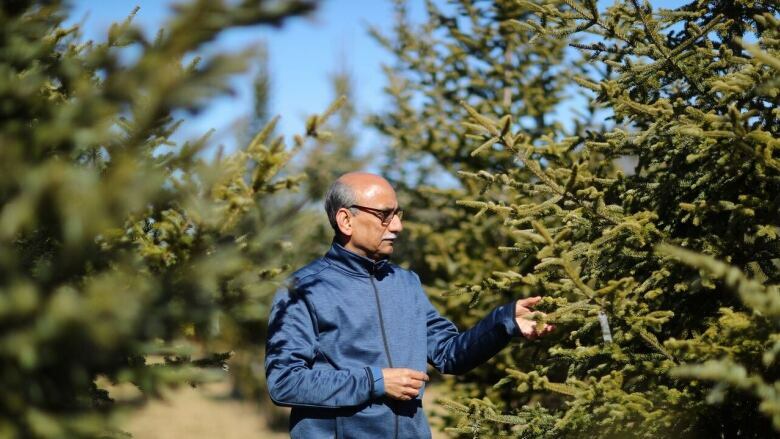 Dr. Raj Lada is a professor in the environmental sciences department at Dalhousie University and the founder of the Christmas Tree Research Center, the only one of its kind in Canada. Eight years ago, Lada established the Christmas Tree Research Center in Truro, Nova Scotia, to help the region's tree producers with some of their ongoing problems with trees that didn't survive their long trips to market intact. Atlantic Canada is a large exporter of Christmas trees to other parts of Canada and the rest of the world. Lada's lab is dedicated to improving balsam fir trees, a native species of the Maritimes. A big concern with balsam firs among growers is needle loss. By the time a tree reaches its shipping destination, it may have lost half or all of its needles. "Needle loss is a direct loss of the producers' profits," said Lada. To solve the problem, he set out to create balsam firs with long needle retention and other desirable traits such as fullness and a pleasant scent, through selective breeding. 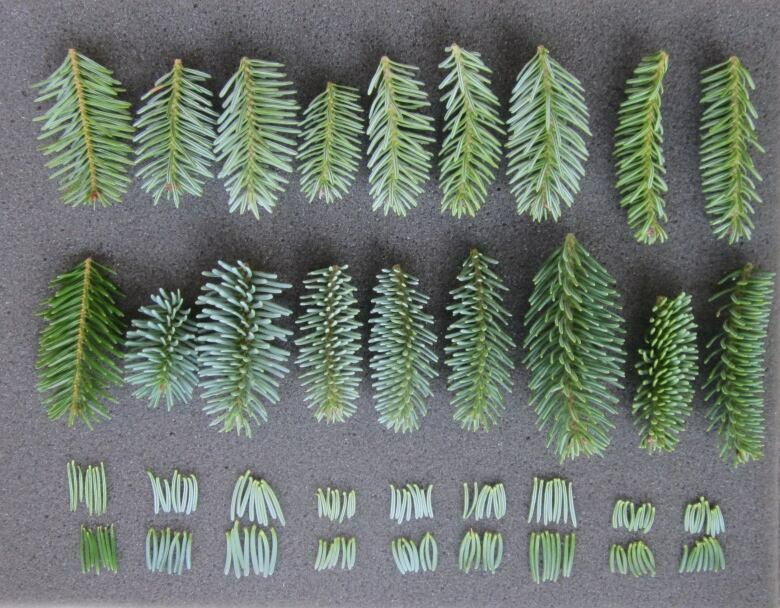 The genetic markers for those traits were identified by screening more than 400 balsam firs, during which he noticed a huge variation in needle retention among the trees. Some would shed needles six days after harvest, while others could retain their needles for up to 72 days. "Balsam fir is highly cross-pollinated," explained Lada. "Every single tree you see in a plantation is genetically different, phenotypically different. There are no varieties like your grapes and apples in balsam fir." Through selective breeding, he ended up creating the first variety of balsam fir and the perfect Christmas tree. It'll last a month longer than the average Christmas tree in your home, said Lada. He named it the SMART Balsam, for Senescence Modulated Abscission Regulated Technologies. Planting will begin next year, and 250,000 SMART Balsam tress are expected to be sold in markets in the next four to eight years. 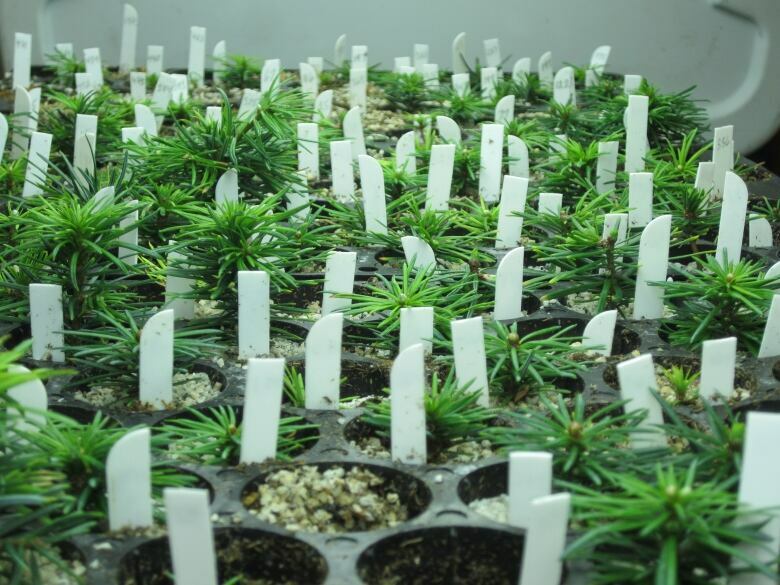 "We've done a lot of studies to really understand these trees — what's going on in those needles that triggers the needle loss, the signals and molecules involved," said Lada. "We have to understand the physiology of the tree, what's going on in the roots, shoots, and its interaction with the environment. Without understanding these processes, we can't fix the industry's problems." The centre has also created products for shipping and storage to help Christmas trees stay fresh for longer. Altogether, Lada has published some 20 papers about his work. Is there a genetic marker for ethnicity?